If your home is an older home with wooden floors, maybe you’ve noticed the floors starting to warp. 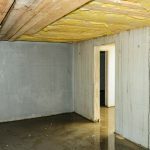 Your home could have some moisture under your home—whether you have a basement, crawl space or concrete slab for foundation. Moisture doesn’t just seep into your home through a crack in the foundation. Moisture can move in and out of your home via air currents, heat transfer and by diffusion through materials. The most common is by the air because it naturally moves from high-pressure areas to lower-pressure areas via holes or cracks in the building. However, when it comes to your home, you’ll see water leakage via basement or crawl space walls due to tiny cracks and pores in the masonry blocks, concrete and wood. So how can you stop something natural such as air and water vapor flow? Having a professional check for any unintended cracks and holes, and then permanently sealing them is one step. Another is by proper insulation, which can help reduce heat transfer and flow. Both of which will also increase your energy efficiency, and help your pocketbook. Slope the earth away from all sides of the house at a minimum 5 percent grade at least 5 feet (which means the grade will go down 3 inches in 5 feet). Have a protective membrane (rubberized roofing or ice-dam protection material) installed between the foundation and sill plate. This will reduce the wicking of water up the masonry foundation wall. Have a foundation drain installed. Ensure that your air conditioner unit’s drain pipe isn’t clogged and that it is directed away from the foundation of your home. 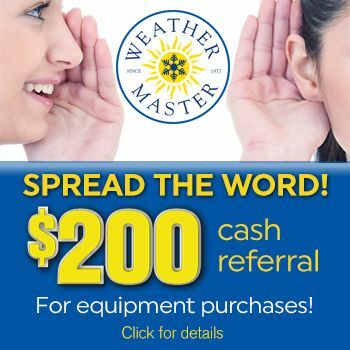 Contact the experts at Weather Master & Mr. Plumber to see how they can help your home be dryer, which will keep you more comfortable year-round.